Paul Biya, Cameroon‘s 85-year-old president, has formally declared that he will run again in the country’s upcoming elections, seeking a seventh term. “Aware of the challenges, we must take up together to ensure a more united, stable and prosperous Cameroon. I am willing to respond positively to your overwhelming calls. I will stand as your candidate in the upcoming presidential election,” Biya said in a Twitter post on Friday. The president’s main rival is 49 year-old Joshua Osih of the main opposition Social Democratic Front (SDF). Professor Elvis Ngolle, one of Biya’s allies and a former minister, argued that the president is the candidate to beat. “His candidacy is one that brings hope, not one that is based on adventure but one that is driven by experience. It will ensure more stability, and more continuity because he is a known quantity,” Ngolle told Al Jazeera. “It is the people themselves who have been calling on him to run again. He has simply responded to these calls. So, indeed, he is a candidate of the people. He is the one the people want,” he added. But Wilibroad Dze-Ngwa, a professor and political analyst, said “there is no level play field” in the upcoming elections. “His [Biya’s] chances of winning are very very high because the results are known even before the elections. The elections will be organised by a body made up of people appointed by him, mostly from his political party,” Dze-Ngwa told Al Jazeera. “As the days go by, the machinery to rig elections are being improved on year-in, year-out. Unless the opposition comes together under one canopy, then we might have some threat. There has been consistent division among the opposition political parties,” he added. Earlier this month, he postponed parliamentary elections also set for October by a year, arguing that the electoral calendar was too crammed. 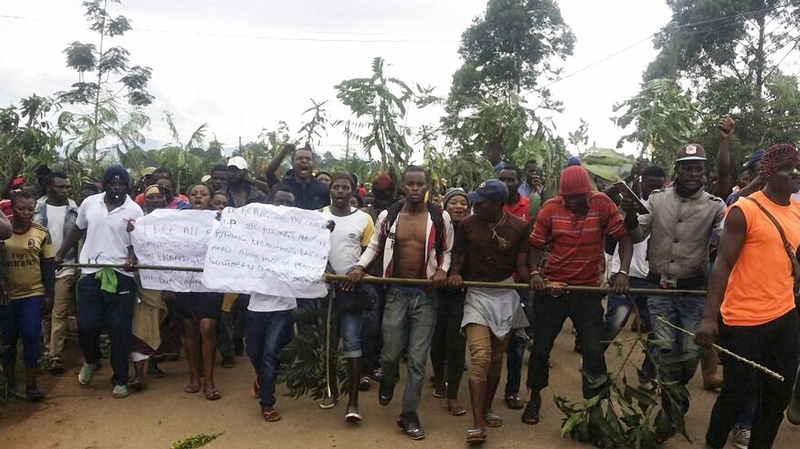 The armed movement grew out of frustrations in late 2016 by English-speaking teachers and lawyers with the dominance of the French language and the marginalisation of Cameroon’s Anglophone population. “Elections will take place, citizens who feel like voting would vote and citizens who don’t feel like voting have a right not to vote. It is not the security situation that will stop the law from being enforced,” Ngolle said. “As long as we have guns, intimidating everybody and putting fears into everyone, we are simply blocking our chances of finding common grounds, finding consensus or going through dialogue. Nobody will dialogue with gunshots going up here and there,” Ngolle added. The Cameroonian government dismissed the video of the apparent killings, which is circulating online, as “fake news”.